Having been influenced by his elder sibling's talents as a DJ from a young age, Tom Conrad started DJing professionally at the age of 18 and hasn't looked back since. After various gigs in his native Midlands county, Tom went on to establish himself at two consecutive 5 year residencies playing alongside the likes of X-Press 2, Danny Rampling, Farley Jackmaster Funk and Stanton Warriors as well as regular gigs at The Bomb and Gatecrasher in Nottingham. He then moved onto other residencies and gigs around the UK & Europe and at the same time began his career as a producer, quickly learning his trade from some of the most talented and established producers in the region. In that same year, his first remix for U.S West Coast producer Blackliquid was released and he has since gone on to release music with Seasons Recordings, Bonzai Progressive, Green Martian, Alma Soul, Disclosure Project Recordings, DeepWit, Sophisticado and various others at the same time as forming a strong production partnership with Andre Bonsor from Schmoov!. A year after becoming a producer, Tom set up Adaptation Music which has fast become an internationally recognised brand working with both new and firmly established artists such as DJ Spen, Matthias Vogt and Ananda Project. In this time he has also produced his own singles on the label featuring the likes of Mr V, Dawn Tallman & Carla Prather and done various remixes. In 2013, Adaptation Music's sister label Cosmic Elements was born and focuses on a more laidback sounds such as chillout, hip hop, jazz and more. Catch him every other Saturday hosting the Adaptation Music show on SS Radio from 7-9pm GMT. 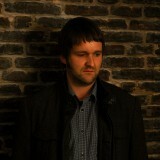 For further details on Tom Conrad's productions, please check out www.soundcloud.com/tomconraduk.